Automotive technicians usually need to highlight a few specific traits and abilities to win the attention of facility managers. A strong resume can mean the difference between a quick offer and a long, difficult search. Start your document by creating a concise summary that outlines your interest in the job and your general background. 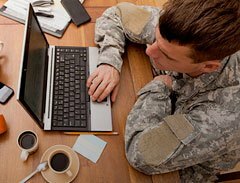 Then create a subsection for training and education, followed by detailed descriptions of your core capabilities and past positions. Keep every line clear, logical, and packed with information. 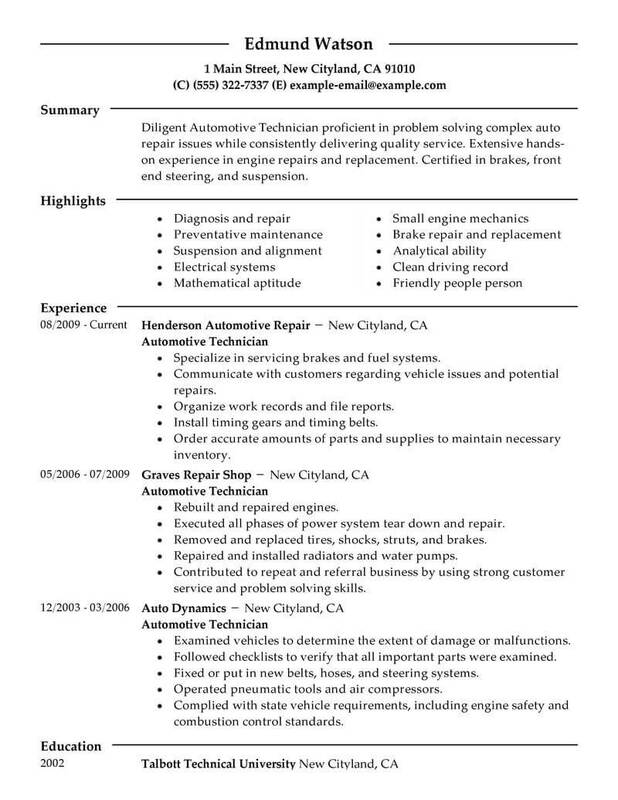 Use this automotive technician resume example as a model and guide. 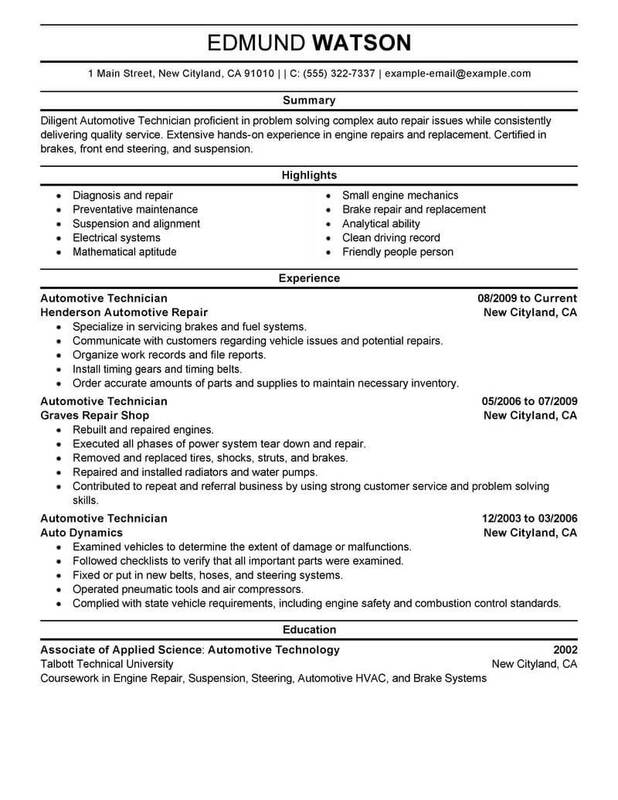 As an automotive technician, you’ll be responsible for diagnosing and repairing mechanical problems with a variety of automobiles. You’ll need specialized technical knowledge, customer service skills, and an impressive resume. The resume examples below can help. Use these resume examples as a guide to build your resume more quickly and easily. Get started today and accelerate your automotive technician career now! Finding jobs as a automotive technician takes some initiative and planning. Follow these guidelines to stay in the right channels and find a position that fits your skills. 1. Network first. This is becoming more important, especially as recruiting goes mobile. Attend events, talk to friends and seek out professionals in your field. It takes some gumption, but if you can find a referral, you’ll jump to the top of any hiring manager’s list. 2. Set up email job alerts. There is so much data flowing through the web, and job boards are aggregating this information and becoming better at matching your resume with relevant positions. 3. Refine your search. Give yourself a category of specific roles or companies that interest you. Employers will take you more seriously if you have a distinct goal in mind. 4. Don’t apply right away. Even after finding that perfect job, you’ve still got plenty of research to do. Make sure you fully understand the organization’s purpose and where you would potentially fit. Study the job description and thoroughly evaluate your transferrable skills. 5. Don’t rule out staffing companies. Many people are turned off by contract work, but it can be an easy way to get your foot in the door. Think of it like an internship; you’ll likely receive a fulltime offer if you prove that you’re an asset to the company. 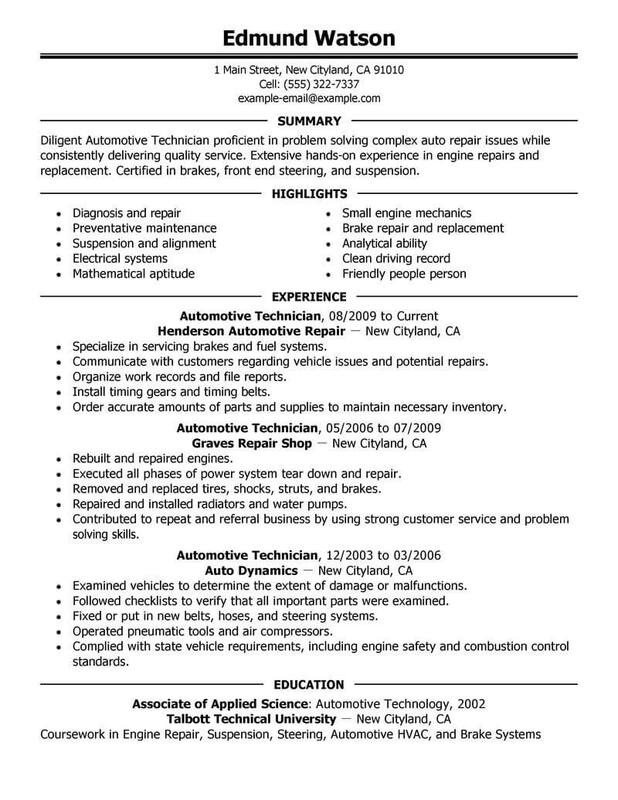 Don’t apply to any jobs as a automotive technician without a solid resume. Here are some tips to help you with content and style. 1. Quantify. Numbers give employers a way to objectively evaluate your skills. Be sure to list the exact number of people you supervised, any benchmarks you achieved and ways that you contributed to growth. 2. Avoid personal pronouns. These are dead weight. Replace “I” and “my” with action verbs that describe your accomplishments. 3. Keep formats consistent. If you bold one job title, be sure to bold the rest. However, try to resist the urge to add too much style. A resume should be simple, clean and easy to read. 4. Use a summary instead of an objective. Your objective is to get the job, and you don’t need to waste space with an unnecessary statement. A qualifications summary is a more effective and useful way to catch a reader’s attention. 5. Leave out “references available upon request. ” If you’re applying for jobs as a automotive technician or anywhere else, you should already have references. Stating this on your resume is unnecessary. Employers will ask if and when they want to.